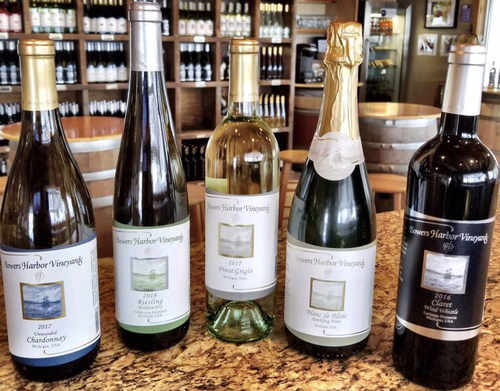 Mission Point Lighthouse Friends and Bowers Harbor Vineyards announce the release of their specially labeled 2018 Lighthouse Wine. 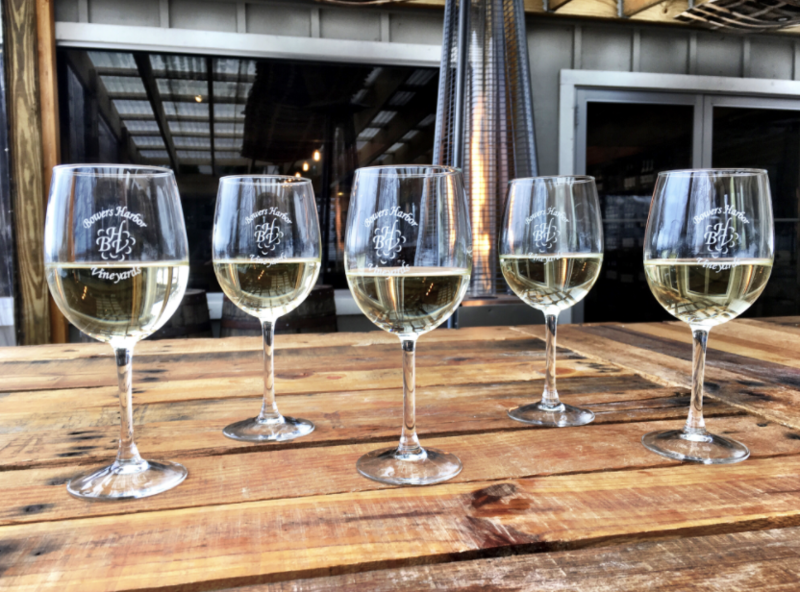 Produced with Bowers Harbor Vineyards’ light and refreshing Pinot Grigio, a portion of the sales are dedicated to the preservation of the peninsula’s beautiful lighthouse. For the third year, Mission Point Lighthouse Friends invited artists to submit their work to be featured on the specially labeled Pinot Grigio. Each April, the public is invited to Bowers Harbor Vineyards’ Tasting Room to help select the winning artwork. This year’s winner was Ruth Kitchen, whose beautiful watercolor is featured on these lovely bottles of wine. To date, Bowers Harbor Vineyards has counted it a privilege to be able to donate over $4,300 to this beloved local landmark. 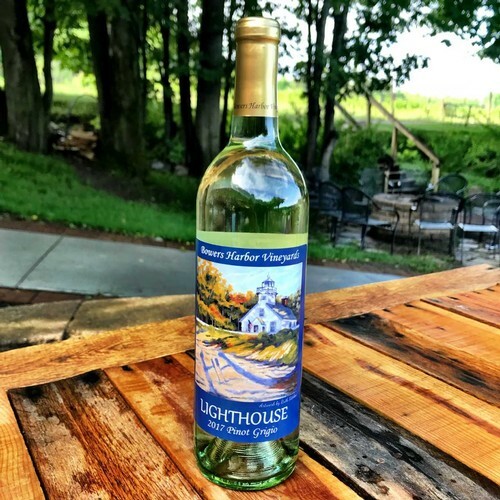 The Lighthouse Pinot Grigio is available at Mission Point Lighthouse and at Bowers Harbor Vineyards; this wine is also available to ship. To view more of Ruth Kitchen’s work, go to her website. 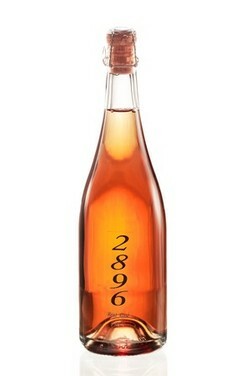 Click here to purchase the Lighthouse Label Pinot Grigio. The BHV team had an amazing experience recently! 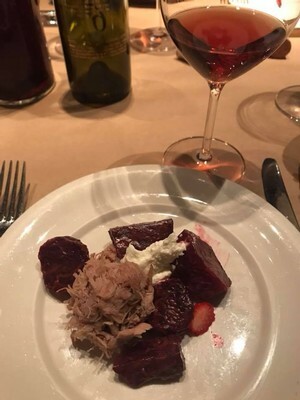 We were treated to a food and wine pairing event at Trattoria Stella’s, given by the general manager and sommelier, Alfiero Silveri! 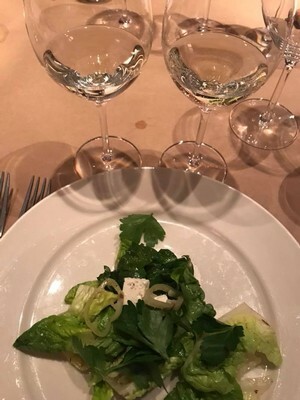 It was a private experience, a 5-course meal, where we learned about which foods paired best with Bowers Harbor Vineyards wines, and why. At this point, we all have gone to a lot of these types of events, had tons of training on flavor profiles, learned all about our wines, etc. and there is still SOOOO much to learn! It’s fascinating! 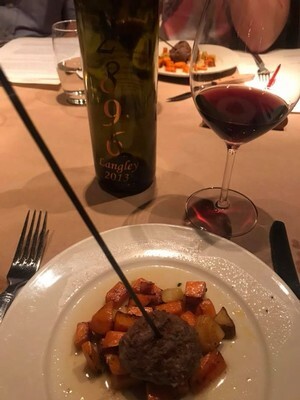 Pairing wine with food has to be one of the greatest joys in life. 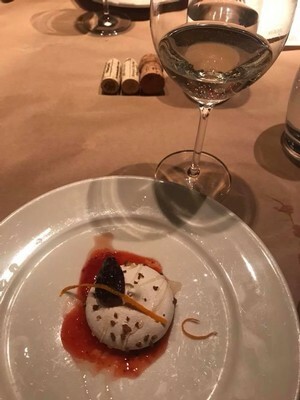 I love wine, and I love food, and I double love them together. Another thing I love, is to learn from passionate people. I’ll never forget the first time I learned how important it was to do work that you loved. I was in my senior year of college and I had a recreation management class where we toured different facilities and learned about what it takes to manage them, from the manager of the facility. The one that I will never forget about was the ice hockey rink where we learned about ice management from the Zamboni driver. He made ice management sound like the most interesting and technical process and his passion for it was literally radiating off of him. 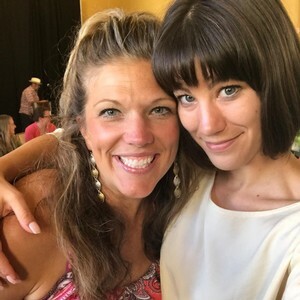 It sounds crazy, but I truly remember thinking, “Wow, I hope I love my job someday as much as he does!” And to this day, I firmly believe that people should ONLY do what they are passionate about. Life is simply too short not to. And the wine industry is no exception. It not only requires hard work and dedication, it requires PASSION. 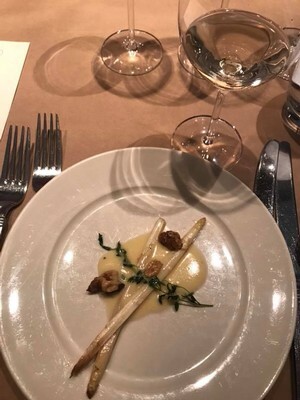 It was such a treat learning about the food and wine pairings from Alfiero because of his…can you guess it? Yes, his passion! As Alfiero says, “Wine is one of the most prized commodities in the world and we get to work with it every day!" So now that I’ve already written a novel, it’s time to get to the moral of the story…the WHY behind the pairings! Taste wine, eat food and then taste wine again to get the full food/wine pairing effect. You drooling yet? By looking at the cheat sheet, can you see why the chef paired these foods and wines together? Wine enhances food and vice versa. To enjoy both to their fullest capacity we must explore and understand their relationship! Whether you’re new to wine, a sommelier, or somewhere in between, wine and food pairings should be fun and accessible. Great pairings truly take the dining experience to the next level. Tasting and smelling the different notes and nuances helps to train your palette, and you begin to notice small details. Once you get the experience of how wines work with different foods, you’ll take your dinner parties or Taco Tuesday nights to the next level! 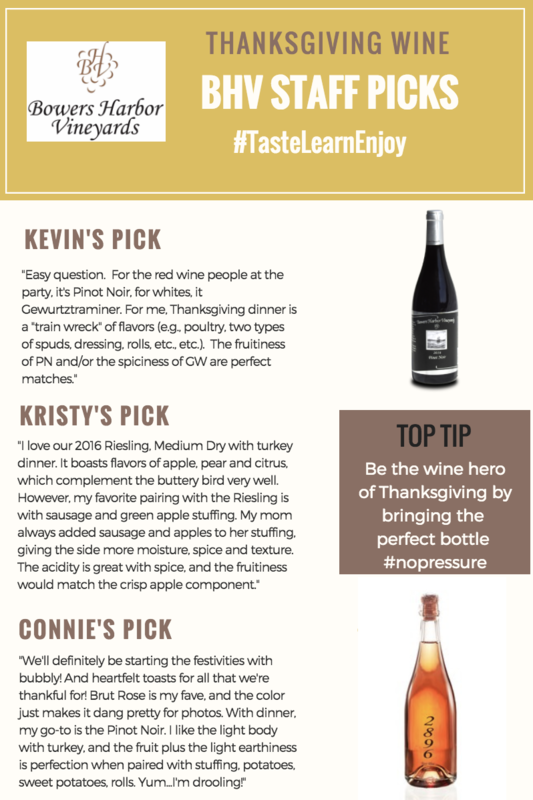 It feels like wine and food pairing is a never-ending topic, which I know can seem overwhelming. Hopefully the pairing guidelines cheat sheet will help with future meal planning. I’m always here if you’d like any suggestions! Feel free to email me anytime at Alaina@bowersharbor.com. I wrote another food pairing (wine and cheese) blog last Fall which also may help you for future cocktail parties, check it out here. It's coming up on our favorite time of year here at BHV. Why, you ask? Pruning (yes, we really mean that!)! 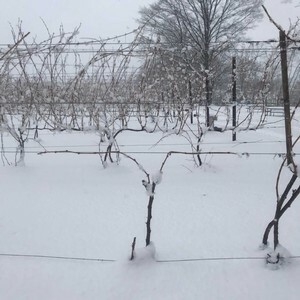 We spent February snowshoeing around, rolling through the vineyards, and checking on our vines. This time in the vines allowed us to fully see the quality of vine management from the previous vintage and make any necessary adjustments. It gave us a moment to pause and direct our attention to any new techniques that we may want to apply in the vineyard. It is also an opportune time to evaluate the position of the vines' shoots and anticipate changes we may want to make for not only the current growing season but for productivity of future vintages. 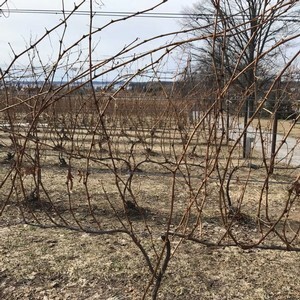 March is here, and for Michigan grape growers that means pruning is just around the corner. For us, grapevine pruning is an annual practice where nearly 90 percent of the previous year’s growth is removed. This is how we maintain the vine form and control the fruit and quality. 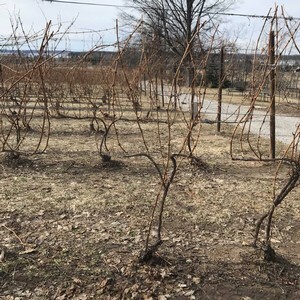 Spencer recently took me on a pruning lesson and it was so interesting to see what happens to, and how much labor goes into, each vine during pruning. If you take a look at the photos above you can see what the vine looked like before it was pruned, the middle stage and after it was finished. I threw the fourth photo in there just to show you what the vine looked like the very next day. One day it was a beautiful, bluebird day, and then the next, a complete whiteout...which is exactly why we start pruning early here! Shoot thinning early in the season is one way to overcome the crowding in these areas. 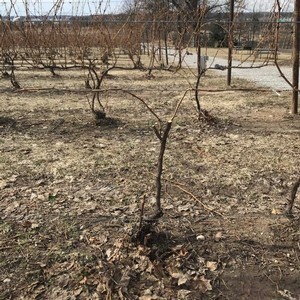 When pruning, we are trimming the vines to select our best two canes that we will then tie down on the weight-bearing wire, and count out to eight buds (ideal vine). We are looking for a pencil-sized diameter for the canes, not the bigger ones, sometimes referred to as bull wood. We want the pencil-size diameter because it has more vigor and the buds are tighter together. With over 25 years experience, it's safe to say that Spencer is a fast pruner but just pruning one vine took about 20 minutes! It's pretty incredible to think that this happens by hand every year, on each and every one of our 18,000+ vines! Stay tuned for the next edition of Designing the Vine! Planning a New Year’s Eve celebration? The New Year can be such an exciting time, full of fresh starts and future plans. It makes sense to ring it in with your closest family and friends. Popping open a bottle of bubbly is a surefire way to get the party started. But keeping the party going is another story, you don’t want to have to pour bottle after bottle throughout the night. Setting up a self-serve champagne bar will not only stretch your bubbly supply with the addition of juices and liquors, it will also leave you free to hang with your guests and actually enjoy your own bash. Not only will a variety of garnishes make your bubbly cocktails look beautiful, booze-soaked fruit is always a treat to find at the bottom of your flute. 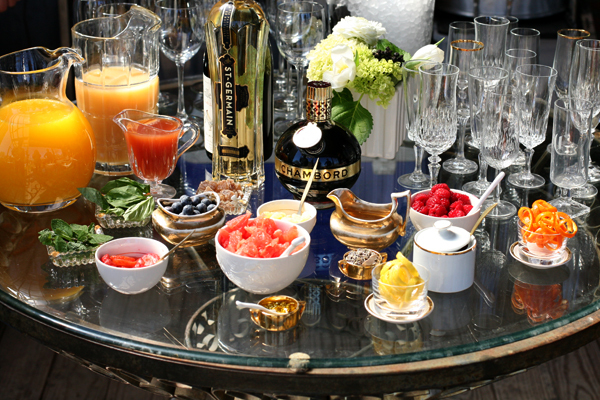 Set up bowls of raspberries, strawberries and cranberries for guests to plop into their bubbly libations. Pre-cut lemon and grapefruit twists are also great flavor enhancers and a lot of fun. Now that your bubbly bar is all set up, it’s time to make the cocktails. Fill a large bucket with ice to keep a few opened bottles on hand. Store the extra bottles in the fridge for later use. Label your booze, mixers and garnishes with note cards, mini chalkboards or simply line a table with butcher paper and write ingredient names directly on the surface. Set out Champagne flutes, jiggers and bar spoons. While I say go ahead and experiment with new flavors and inventing unique cocktails, here are a few of my favorite classic combinations to get you started. Happy New Year everyone! Wishing you all a safe and fun holiday! Cheers to 2018! This is one of the most fun things to do in the winter. Who doesn’t like snowshoeing through the beautiful vineyards and wine tasting with a group of friends or as a fun day date? 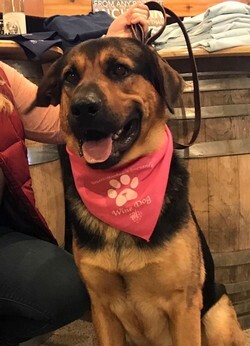 This tour starts at Jolly Pumpkin where the Brew Bus will pick you up and drop you off at Brys Estate Vineyard and Winery. From there you will snowshoe a marked trail to Bowers Harbor Vineyards, and then follow the interpretive trail back to Jolly Pumpkin. Enjoy 5 tastes and glass specials at each spot! Our brand new Spirit Cider Society is here! Join in December for only $125! Delight your family and friends with a special gift basket created just for them! We've curated a few of our favorite gifts inside the basket for them to enjoy. 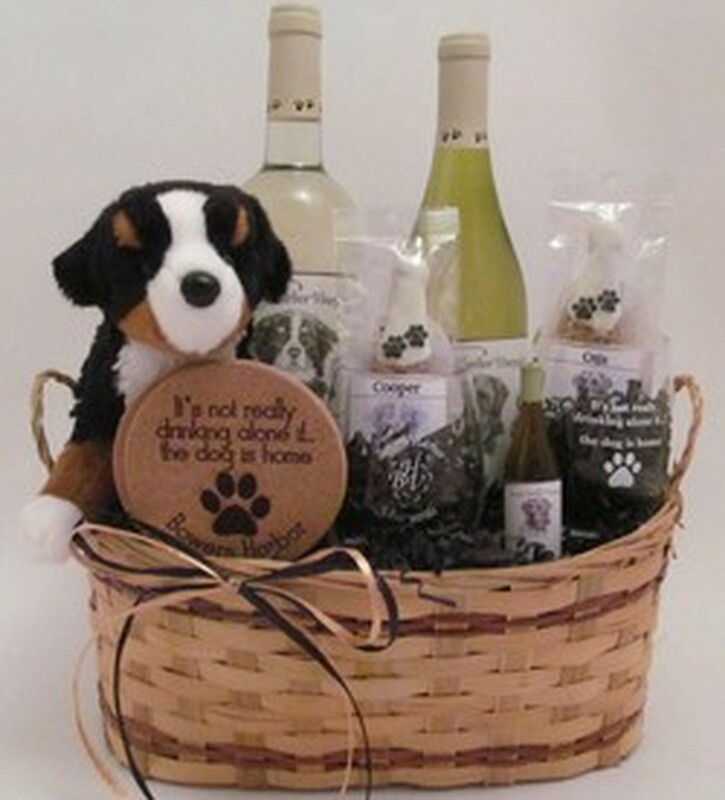 A gift basket is a unique wedding, holiday or housewarming gift! We have a few different options available, just click on Gift Basket above to check them out! 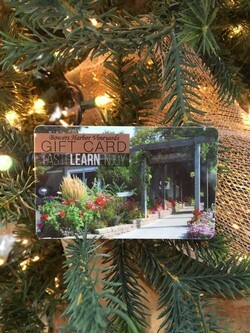 Gift cards are the perfect gift for someone who has everything! They can be used on wine and merchandise both. We have two different gift cards to serve every gifting need. There are some people who don’t think saving evidence of how many bottles of wine you drink is cool…but we aren’t one of them. 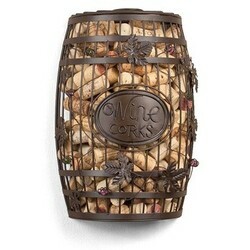 We have a wide variety of decorative cork cages that you can use to save the corks from your favorite wines and remember the memories for years to come. Our wine club membership is amazing. 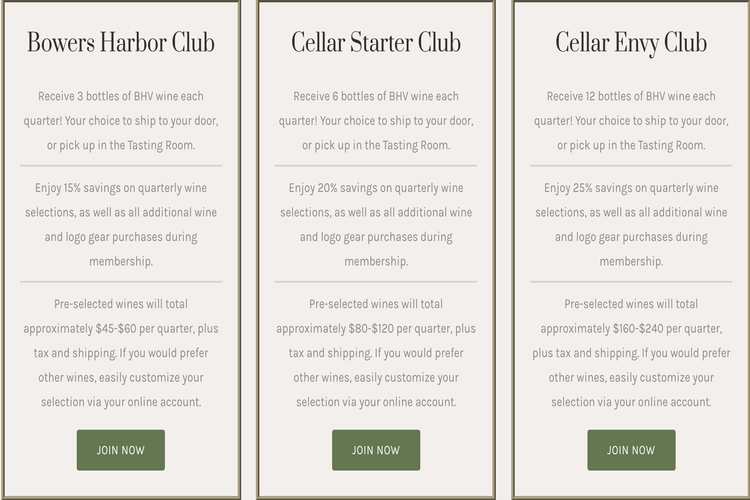 It is one of the few wine club memberships that is customizable to your liking! We pick our favorites each quarter but if you’d rather have something different, then we will switch them out! We have three different clubs to choose from and offer a ton of fun in the form of wine club dinners and tasting room perks. Everyone can use a date night, right? Wow your special someone with a special night, just for the two of you. Click on the link above to view the menu, it is sure to impress! There are few things I’d rather get as a gift than a case of wine….I mean WHO wouldn’t want that? Our mix & match options gives you the chance to choose your favorites, their favorites, some new ones AND a cider or two. 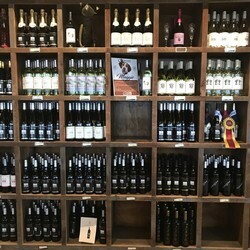 All orders of a case of wine automatically get 15% off! Because your pooch deserves it.